Earlier we shared OPPO A7's leaked specs and images with you which made headlines everywhere. But now the handset just got listed on OPPO Pakistan's official webpage, which actually means that the launch date of this handset is not far off. 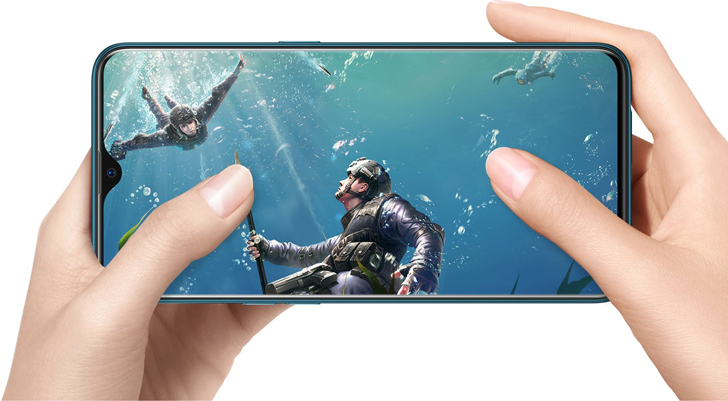 The Oppo A7 features a 6.2-inch HD + full view display with Water-Drop notch design, which accounts for 89.35% of the screen area and is protected by Corning Gorilla Glass 3. 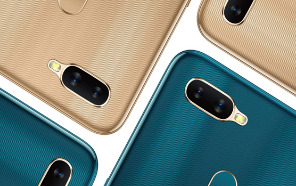 The Smartphone comes in trendy colors, Glaring Gold & Glaze Blue. The screen also comes with an anti-glare coating to improve the display brightness in direct sunlight. In addition, low voltage backlight reduces the phone's temperature further by 0.5 ° C.
The 4,230mAh battery capacity frees you from the concerns of fast drain during your day with more powerful and long-lasting battery life. In addition, the AI battery manager will limit the applications from running in the background to save more power. A7 by OPPO runs on Android 8.1 Oreo with ColorOS interface on top. OPPO A7 also features Qualcomm's Snapdragon 450, 16-megapixel selfie camera with HDR support, dual rear cameras with AI beauty and other capturing modes along with sparkling bokeh effect.